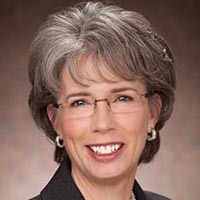 Pamela A. Eibeck, president of the University of the Pacific in Stockton, California, has announced she will retire on July 1, 2019. The university enrolls about 6,200 students, 54 percent of whom are women. Dr. Eibeck was named Pacific University’s 24th president in 2009. During her tenure, she integrated the university’s three campuses to operate as one, oversaw a 63 percent growth in graduate school enrollment, and nearly tripled the endowment to over $450 million. Recently, she has overseen a university plan to reallocate university spending toward more competitive compensation for Pacific employees and to bring revenue and spending into alignment. She also worked with community partners to launch the Beyond Our Gates initiative that aims to improve early literacy in Stockton. Dr. Eibeck holds a bachelor’s degree, a master’s degree, and Ph.D. in mechanical engineering from Stanford University.